Meet Ralph Williams, WECA Client Services Specialist, who is proudly celebrating his 5-year anniversary with the company. If you've ever been to our Rancho Cordova headquarters and training facility, you may have met--or at the very least heard--Ralph through the halls of the campus. His personality and humor are grand, complimented by his determination to succeed at whatever task comes his way. Born in Stockton but raised in Sacramento, Ralph graduated from Valley High School and then pursued his college education in Business Management. Ralph says that while as a student while he was known for his jokes, he also knew that when it was time to work, work is what needed to get done. It was that mentality and drive that allowed him to complete college and start working for WECA. While Ralph had no direct personal experience with the electrical field, his father did. Ralph's father worked for many years as a journeyman, and he was the one who introduced Ralph to WECA. 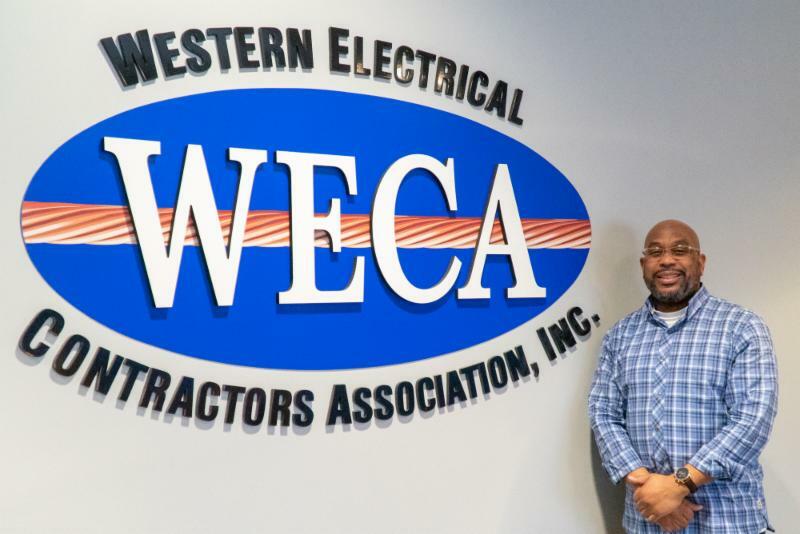 With a day-to-day task list of answering company emails and being the first line of contact for current and new students, Ralph continues to be a pillar of support for students training to become electricians through WECA. Having worked at WECA for the past 5 years, he's made a lasting impression on the staff and students. During this time, he's also gone above and beyond as a WECA employee; representing the company each year at the annual Rex Moore "Make A Wish" Golf Tournament, showing his support on behalf of WECA. But with all that hard work, Ralph also enjoys his time off, whether it's relaxing with his three kids or making some of his signature barbecue. Ralph says, "I love this company and the direction it's headed. Ever expanding and growing. I am blessed to have this job." On behalf of WECA's staff and its students alike, we would like to say congratulations to Ralph on his five-year anniversary, as we look forward to many more years to come.